1) Preheat the oven to 200C/Fan 180C/Gas 6 and line a 12-hole muffin tray with paper muffin cases. 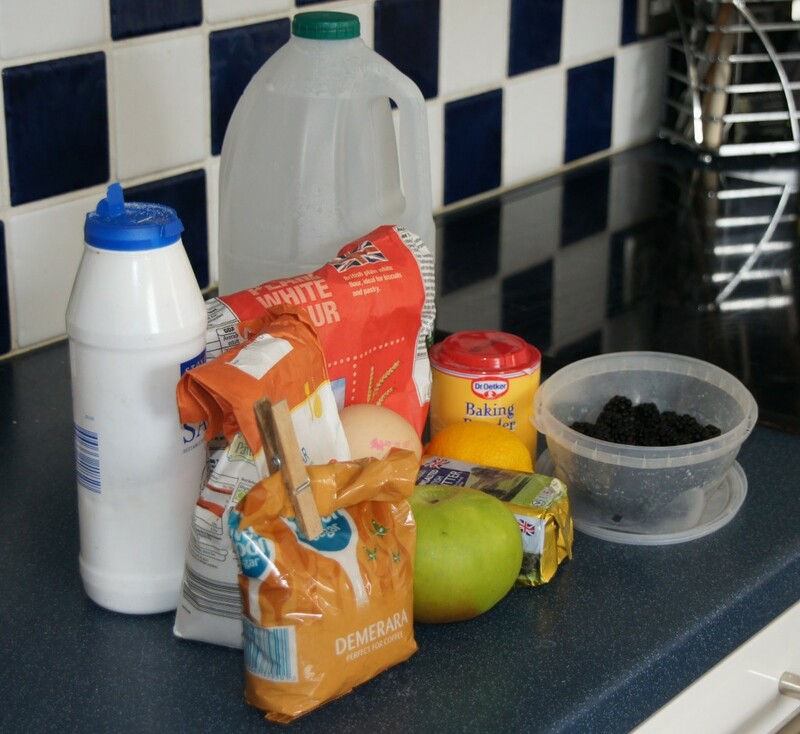 2) First make the crumble topping. Rub the butter into the flour until it resembles fine breadcrumbs.Then stir in the sugar and work the mixture with your fingers until it forms nuggets. 3) For the muffins, sift the flour, baking powder and salt into a mixing bowl and stir in the sugar. In a separate small bowl, beat the milk with egg, melted butter and lemon zest. 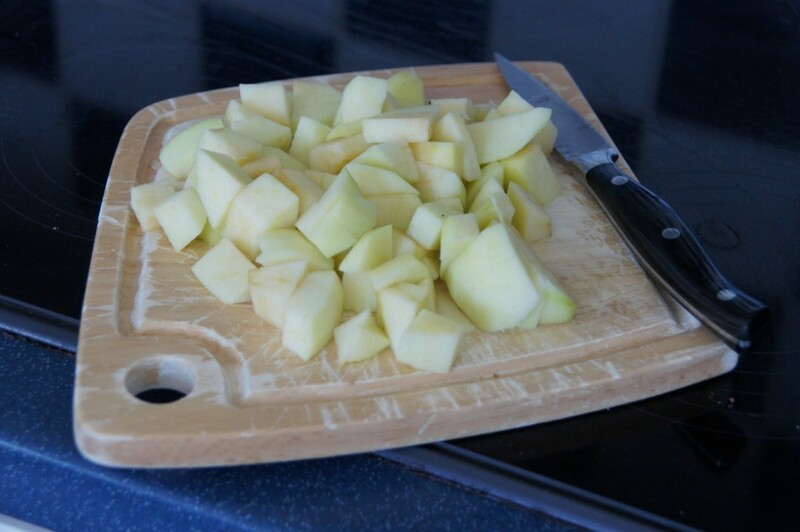 4) Peel, quarter and core the apple, and cut into blackberry-size pieces. 5) Stir the wet mixture into the flour and sugar mixture until combined (it’s fine if it’s still a bit lumpy). Stir in the apple and blackberries. 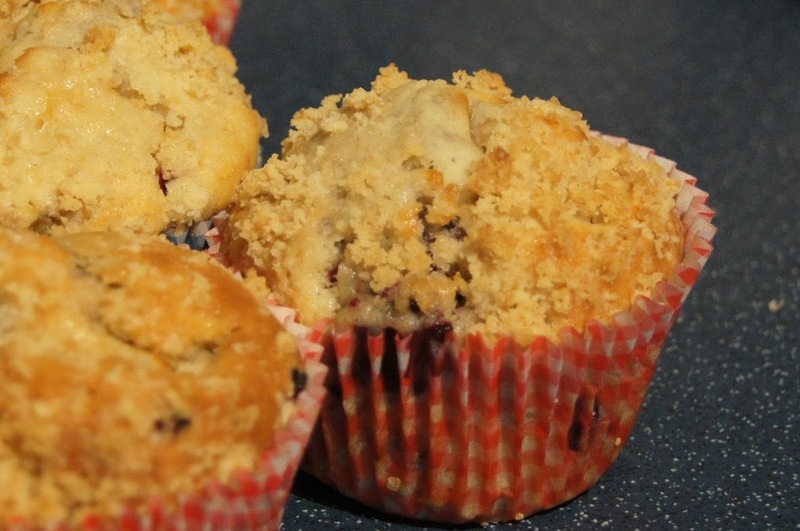 6) Spoon the mixture evenly into the paper muffin cases and sprinkle over the crumble topping.